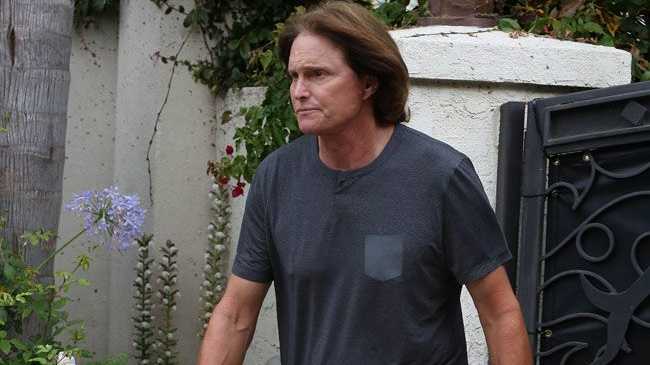 BRUCE Jenner has sparked rumours he's dating again. The former Olympian, 64, has fuelled speculation he's moved on from estranged wife Kris Jenner, 58, after he was spotted attending a Sir Elton John concert at the Staples Center in Los Angeles on Saturday night with a mystery woman, who resembled his ex-spouse. The pair were also joined by Bruce's eldest son Brandon, 33, from his second marriage, and his wife Leah, according to the Daily Mirror newspaper. Kris and Bruce - who got married in 1999 and have daughters Kendall, 18, and Kylie, 17, together - announced their separation last October. The matriarch - who also has Kim, Kourtney, Khloe and Rob from a past relationship - filed for divorce from Bruce last month, citing irreconcilable differences as the reason behind the end of their 23-year marriage. A day after the papers were submitted to LA County Courthouse, Bruce responded to the legal documents and agreed to joint physical and legal custody of Kylie. Meanwhile, Kris also has her sights set on finding love again as she recently admitted that it would be "amazing" for her to find a new boyfriend. She said previously: "I want to definitely be in love, I like being in love, I think there's no better feeling in the world. So yeah, I mean that would be amazing."